I wrote about the affected area by Tsunami in the last blog entry. This time I'd like to talk about attractive features of Tohoku, particularly Iwate prefecture I visited. 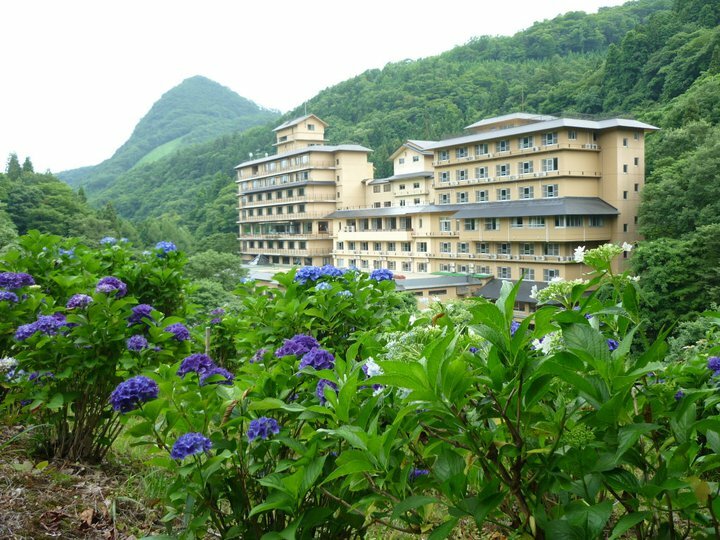 First night, we stayed at Hanamaki Onsen. Onsen means hot spring in Japanese. Hanamaki Onsen is located near the Hanamaki airport. The name of the traditional hotel we stayed is Airinkan. The public bath facilities were excellent in the hotel. If you love hot springs, this hotel is highly recommended. Dinner was also great. Addition to the set meal with full of local food, they offer all-you-can-eat dishes such as beef stew, pizza, pudding etc. You can be really full! I ordered beef steak, too. It was as tasty as Kobe beef!! 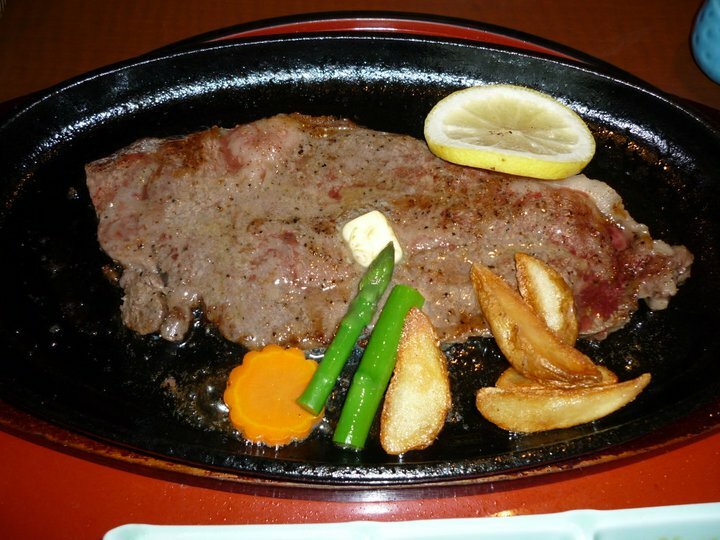 Although the beef tastes so good, the Japanese government banned selling beef from Iwate since some beef from Iwate were found to be contaminated by nuclear radiation. I cannot imagine how painful it is for the farmers who tried hard to recover the economy of Tohoku but could not sell the beef/cows they raised with tremendous efforts. On the second day, we visited Hiraizumi. The area got registered as UNESCO World Heritage in June 2011. It was a very good news to cheer up Tohoku. 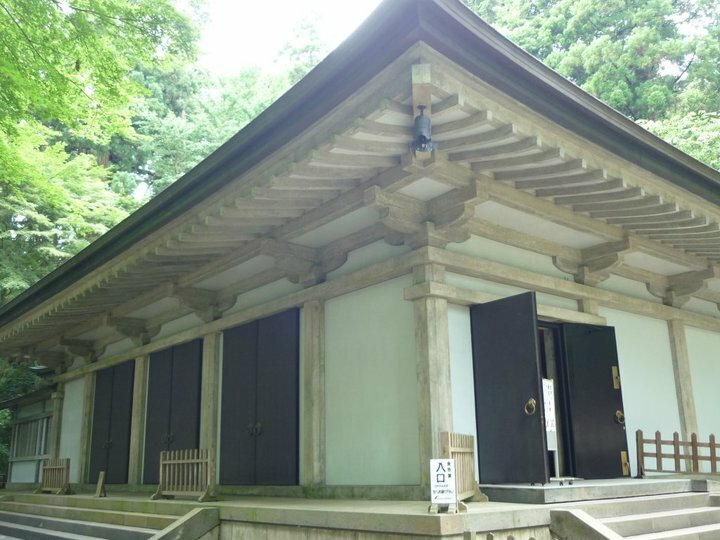 The main attraction in Hiraizumi is Chusonji temple's Konjikido. 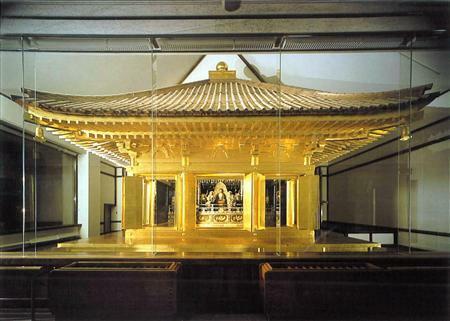 Konjikido is decorated with full of gold. It might be the most gorgeous Japanese architecture I've ever seen. Can you believe that it was built in 1124? Almost 900 years ago!!! It is not allowed to take a photo inside. 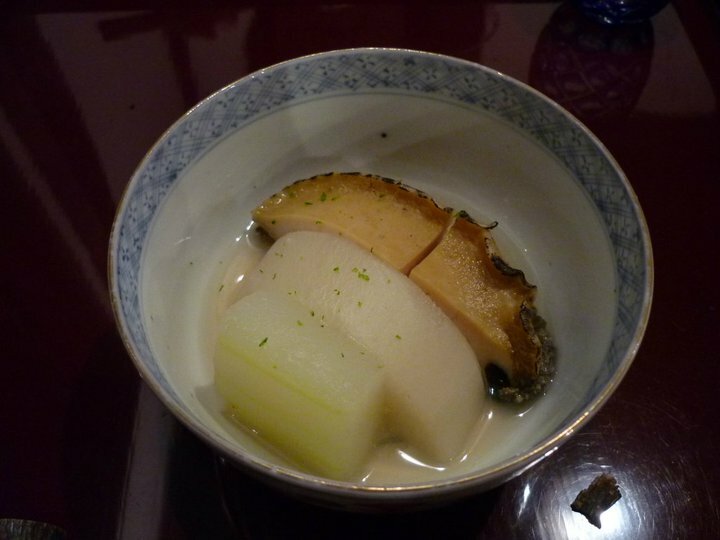 I attach the photo below taken from the Konjikido homepage. There is a video shown in the museum next to Konjikido. The video is about the project to renovate Konjikido from 1962 to 1968. The detailed operations to repeat the artwork conducted 900 years ago are simply amazing. Don't miss the video if you visit Konjikido! 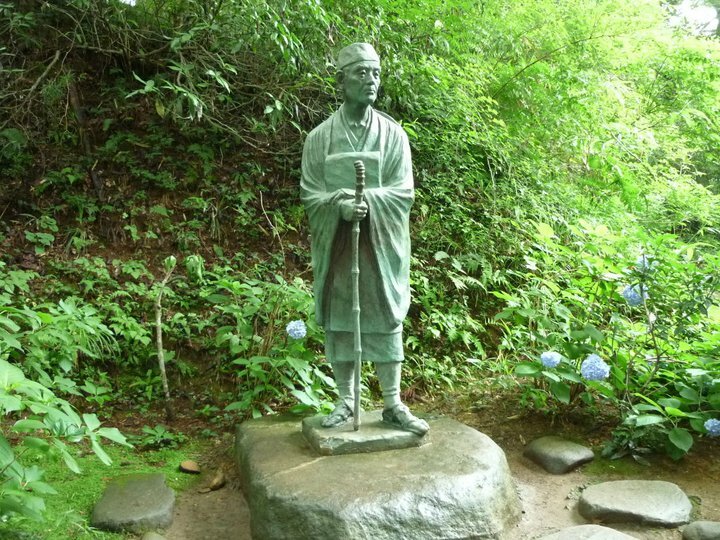 Haiku Master, Matsuo Basho, made a lot of Haiku (Japanese poem) in Iwate. The hotel we stayed at Hiraizumi is called Musashibo, which was very convenient for sightseeing. On the next day, we took a train for 3 hours to visit Kamaishi, the affected area. 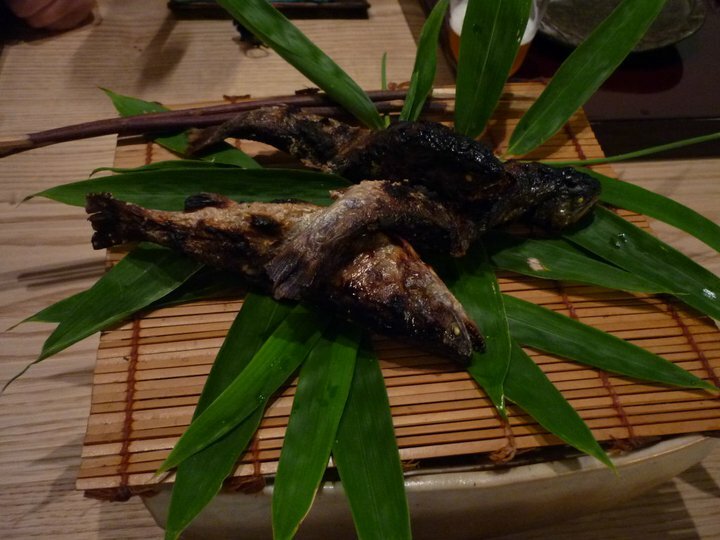 We had great seafood at Manpuku Shokudo near the station. 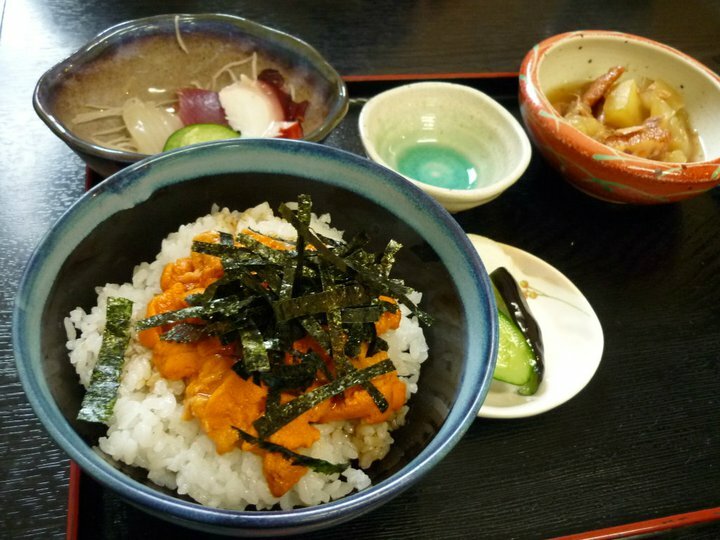 Uni-don (Donburi with urchin) was so yummy!!! Then we took the train again for 1 hour to visit Tohno, which is well known by folk tales. Traditional houses are preserved in Tohno. 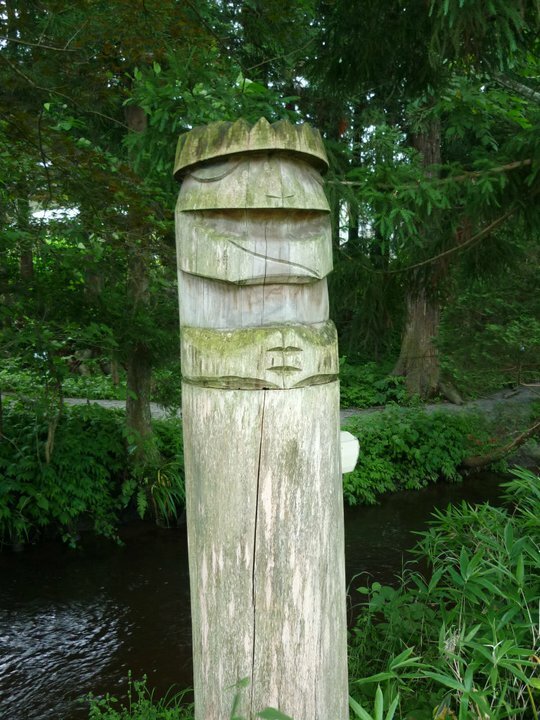 Tohno is a spot you can listen to folk tales. In the station, there is a volunteer who tells you folk tales in local dialect. The old lady we had remembers 150-160 folk tales. Unbelievable! The restaurant in front of the B&B was a great surprise. 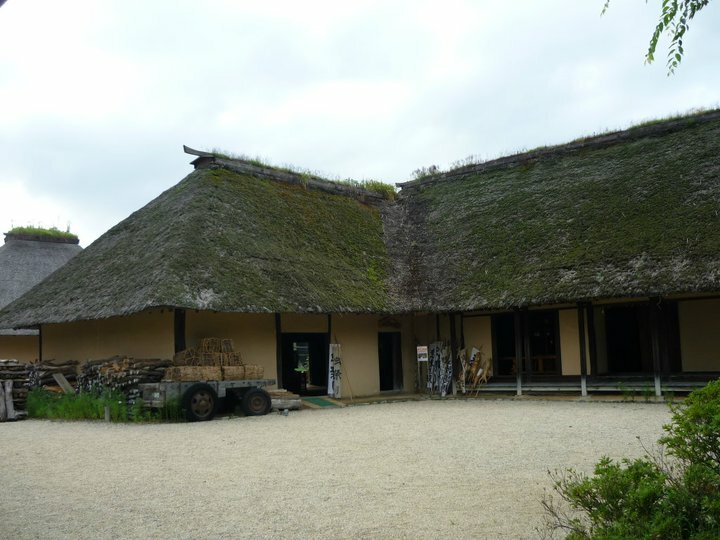 Yotaro, the young son of the owner of the B&B, constructed the building using the traditional residence. The restaurant opened on the day we visited, so we were the very first customer of the restaurant!! There were 10 dishes in the course menu. It was one of the best Japanese meals I've ever had!!! The local beer from Tohno was as tasty as German beer. 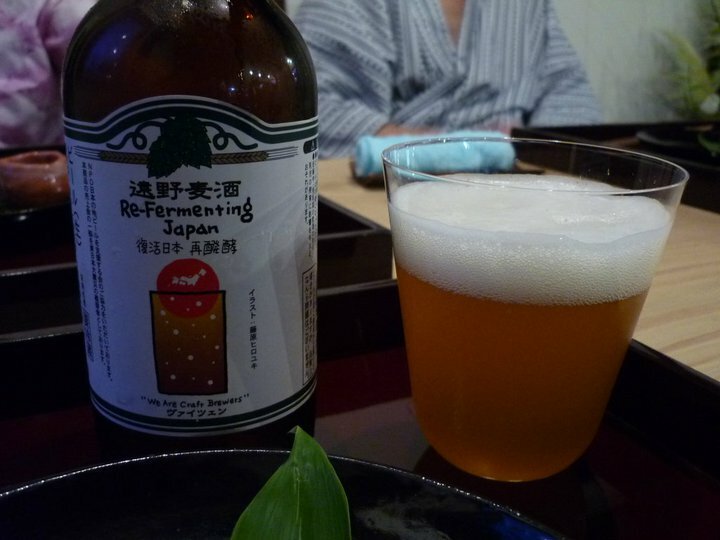 The label, saying Re-fermenting Japan, was quite funny and encouraging. The same building is planning to have rooms to stay for 1 couple, and the rooms will be in traditional style and even have a tea ceremony room. It was great to meet Yotaro, who is my age but already familiar with Japanese traditional culture and working hard to preserve the local culture and architecture. This special cottage will be open soon. 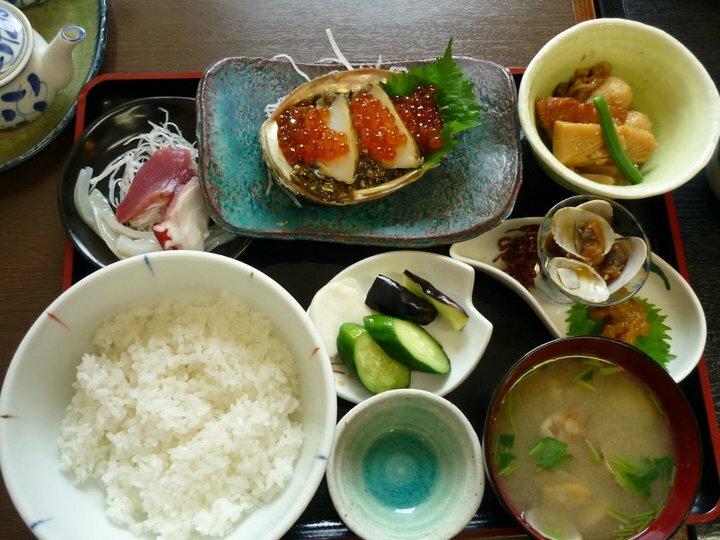 If you visit Iwate, it is highly recommended to stay there! 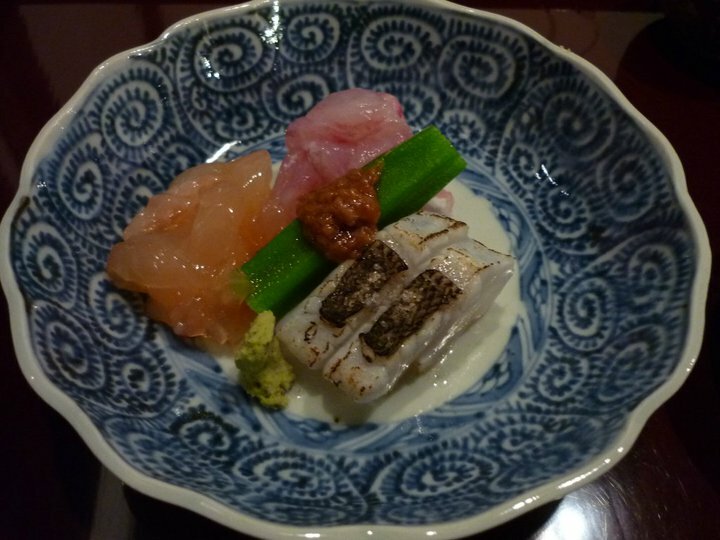 It will be 21,000 yen per person including the delicious dinner I mentioned above. You can inquire about this cottage to Minshuku Tono. I hope many people will visit Tohoku to encourage people and the economy there. It was my first visit, but I am already fascinated by the beautiful region. I think Tohoku still maintains the good old Japan. Tohoku offers rich traditional culture embedded in rich nature. And the most attractive feature is the people's character. Tohoku people are very warm, simple and honest. The three towns/villages I stayed were located inland, and people there all told me that "We want to support the affected people in the coastal areas." When I heard the words, I was convinced that Tohoku would recover. Please visit and feel Tohoku yourself!!! I'm just back from a trip with my parents to Iwate prefecture in Tohoku, the north area. It's my first time to visit Tohoku. I will write about the charms of Tohoku in the next entry. 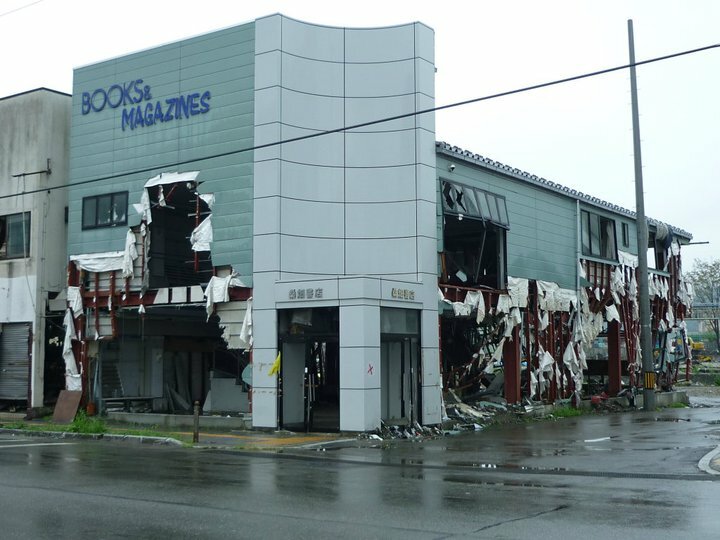 Here I'd like to post some photos from Kamaishi, one of the port towns hit severely by Tsunami. 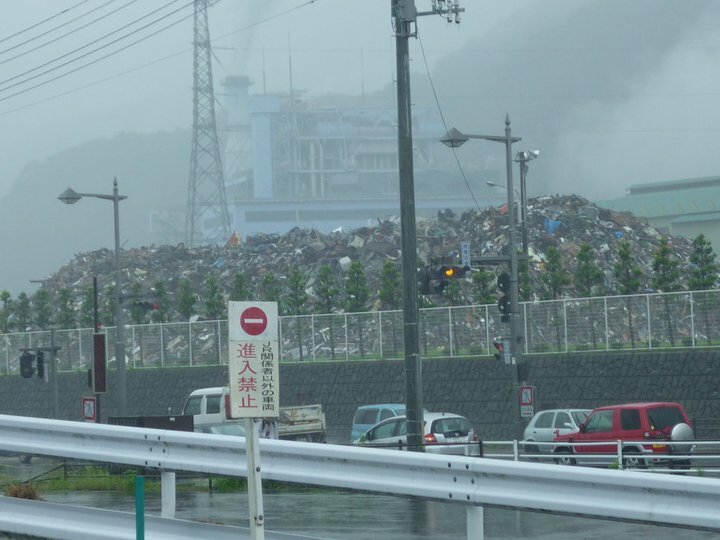 The first thing we noticed was a huge amount of rubble outside the train station of Kamaishi. As we walked toward the port, the impact of the Tsunami became stronger. 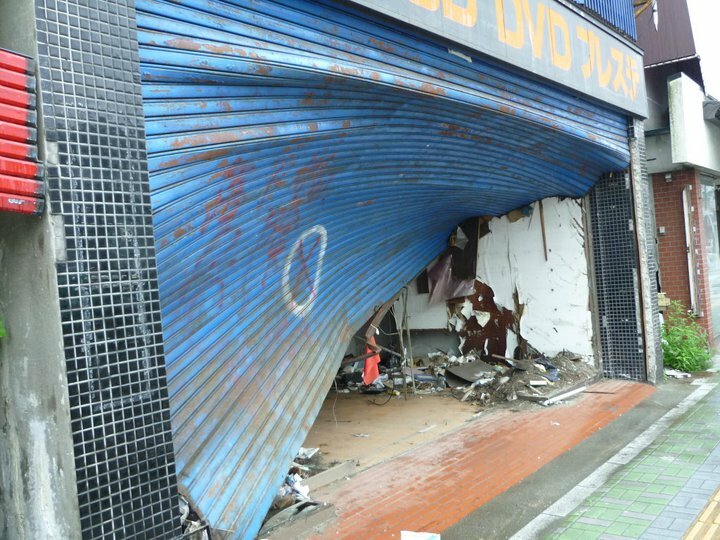 The first floors of shops and houses were completely destroyed. A few are already cleaned, but most are not. The gas station is distorted. Tsunami hit even 2nd, and 3rd floors at the area closer to the port. 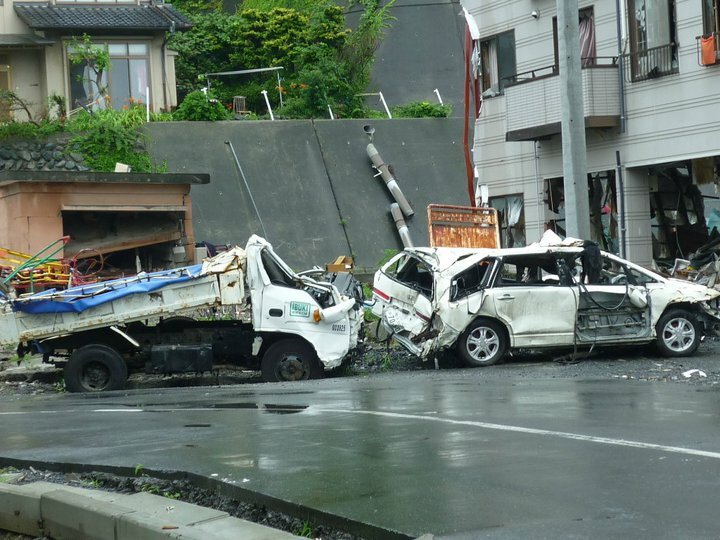 It is unbelievable how strong Tsunami was to destroy cars and trucks. 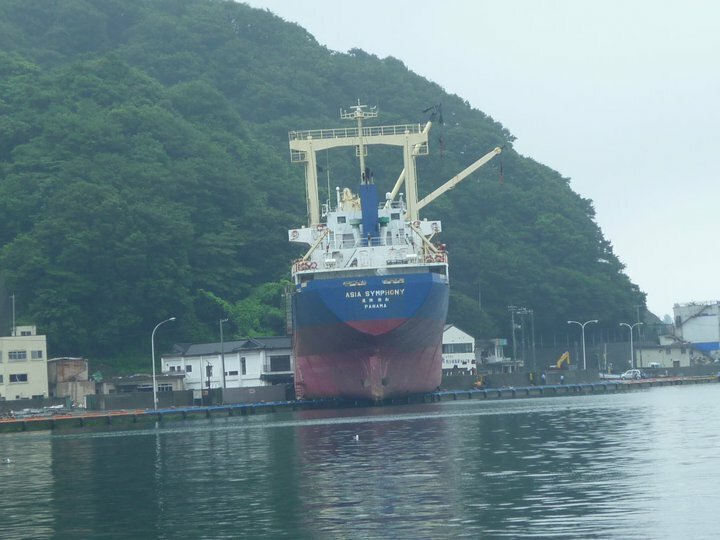 Even the big ship was brought onto the land by tsunami. There were few people walking on the street. 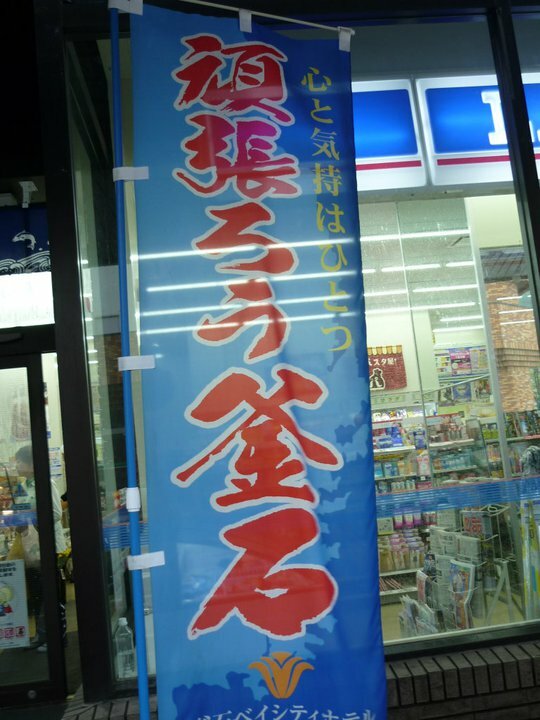 The convenience store was one of the few stores open, and it had a sign with the slogan, Ganbaro Kamaishi (Cheer up, Kamaishi). According to the local, even now dead bodies are washed ashore. As it was the first time for me to visit the affected area, I was stunned by the devastating power of Tsunami. 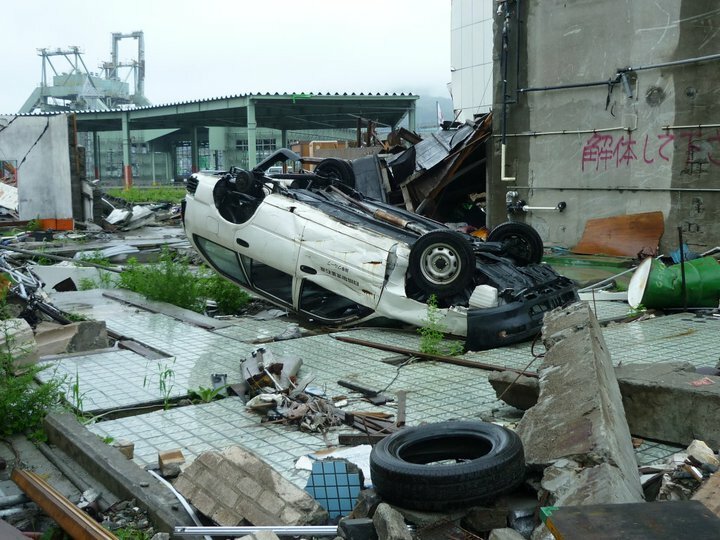 The scaring fact is that other towns such as Rikuzen Takada had much more significant damages than Kamaishi. The buildings were still there in Kamaishi although 1st or 2nd floors were destroyed. 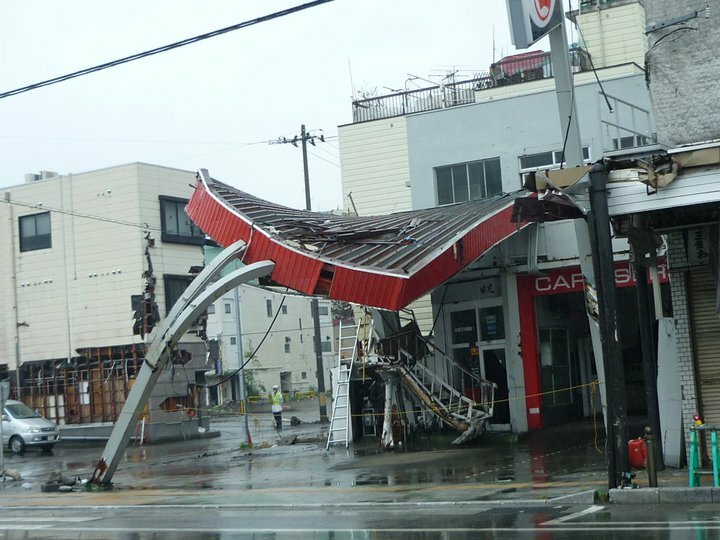 In Rikuzen Takada, buildings were completely washed away. I cannot imagine how frightening it was to be on the spot. In Kamaishi, affected people got into temporary housing built by the local government, so the evacuation centers will be closed soon. However in other towns hit more severely such as Kesen-numa, people are still waiting to win the draw for the temporary housing. The people are feeling strong stress due to the long period living in the evacuation center without privacy. Since I was studying in the US until recently, last night was the first time for me to experience the aftershock. The locals told me that they would not be surprised by small aftershocks anymore, but I'm sure their stress to cope with the fears of aftershocks on a daily basis is significant. The affected areas still need significant support. Almost 5 months have passed since the earthquake and TV news is now focusing on nuclear issues. It is important for us to think about what we can do to support the area and the people affected.